Hackers are designing malware to be more sophisticated than ever. Through packing, encryption, and polymorphism, cyber criminals are able to disguise their attacks to avoid detection. Zero day threats and advanced malware easily slip by antivirus solutions that are simply too slow to respond to the constant stream of emerging threats. Organizations of all sizes need a solution that leverages a holistic approach to security from the network to the endpoint. 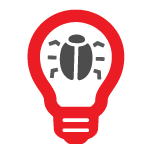 WatchGuard Threat Detection and Response (TDR) is a powerful collection of advanced malware defense tools that correlate threat indicators from Firebox appliances and Host Sensors to stop known, unknown and evasive malware threats. ThreatSync is a Cloud-based correlation engine that analyzes event data from Host Sensors and Firebox appliances to identify malicious behavior. Threats are scored based on severity, for guided remediation. 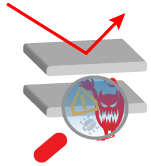 The lightweight WatchGuard Host Sensor extends threat visibility and management to the endpoint. 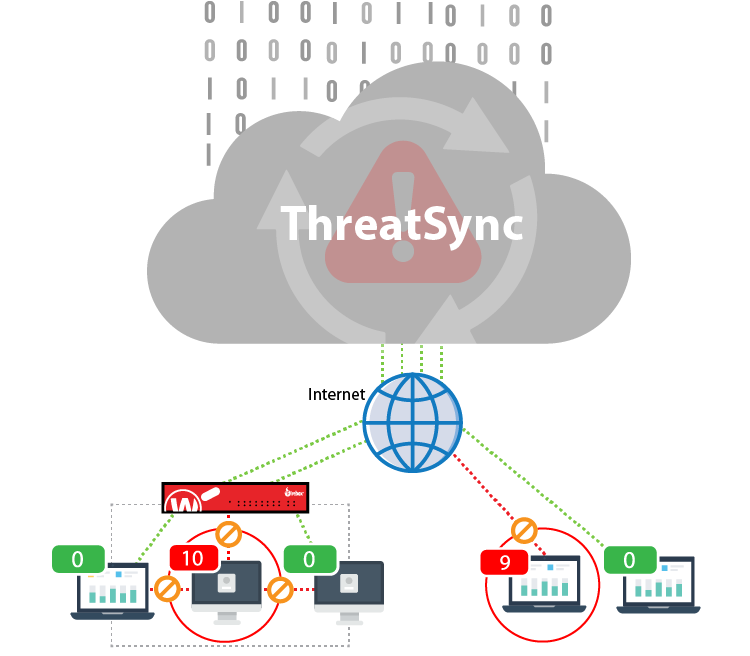 The WatchGuard Host Sensor continuously sends heuristic and behavioral data from the endpoint up to ThreatSync for correlation and scoring. Control infections automatically when a threat is identified. 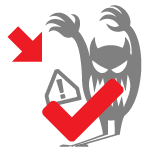 ThreatSync quickly contains any host machine from the network, preventing further infection of your business. 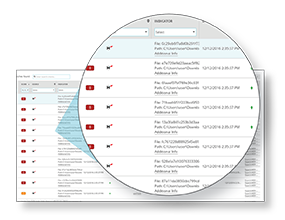 Once contained, ThreatSync eliminates the malware by automatically killing processes, quarantining malicious files, and deleting associated registry keys. 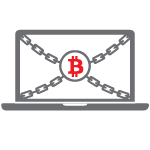 Host Ransomware Prevention (HRP) is a ransomware-specific module within TDR that uses behavioral analysis and honeypots to look for signs of ransomware. 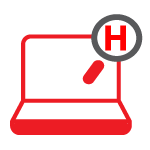 If malware is detected, HRP automatically intervenes to stop the ransomware before files are lost. Want to take a deeper look at a suspicious file? 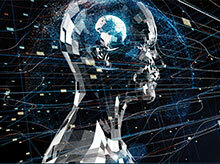 Our integrated approach to threat triage uses an innovative artificial intelligence engine in conjunction with our APT Blocker security service, to detect and automatically send suspicious files for deep analysis in a next-generation Cloud sandbox. 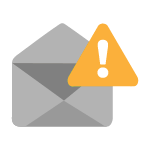 ThreatSync includes email alerts and notifications to let you know when a threat indicator or incident has been detected, as well as if the threat has been remediated from the network or endpoint. Notifications are configurable to ensure that you receive the alerts you want when you want them. Threat Intelligence was previously only a benefit available to enterprise organizations with big budgets and even bigger security teams. 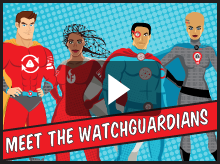 With Threat Detection and Response, WatchGuard aggregates and analyzes threat intelligence feeds - delivering the security benefits without passing on the associated complexities or cost. Threat Detection and Response doesn’t require users or Managed Security Service Providers (MSSPs) to replace existing AV solutions already deployed. TDR works in tandem with existing AV, bringing an additional, powerful layer of threat detection and event correlation to catch anything that AV might miss. Threats detected on the Firebox or via the Host Sensor are sent to ThreatSync, where they are continuously correlated and analyzed, then scored and ranked by severity. 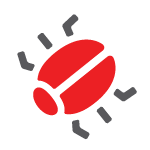 Threats can then be quickly remediated through one-click response options, or by leveraging policies to enable an automated response including quarantine the file, kill the process, and delete the registry key persistence. Get the Power of Correlation Resource Kit!